Katie joined BTI Partners to participate with on site sales for Marina Pointe. This will be her 5th development after leading a successful sales career upon graduating from Florida State University with a Bachelor’s Degree in Communications. 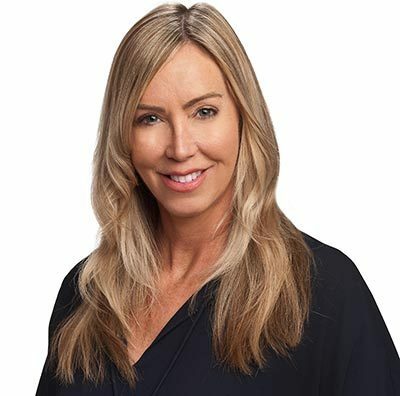 Her sales experience spans over 15 years during which she gained management and corporate training from top fortune 500 companies in technology, medical and surgical sales. She was awarded “Rookie of the Year” her first year in sales and remained in the top 10% throughout her career nationwide while residing in Miami, Denver, and Southern California. Katie entered the real estate development market while recognizing the growth opportunities as she relocated back to Florida, selling over $38 million for her first project and was awarded the NE Florida Laural Award for the top sales in NE Florida her first year. She has worked for top developers throughout the country and continues to hold a passion for transforming skylines. Katie also states that Tampa is one of the greatest cities to make her home and is thrilled to be a part of the exciting transformation taking place in her newly found community. Katie has formerly been involved with Big Brother Big Sister, Junior League in Denver, Dreams Come True, The Live Well Project in San Diego and Teen Challenge in Haiti. Katie continues to involve herself with philanthropic opportunities advocating for animal rights while possessing a strong will to help both animals and others. She enjoys yoga, tennis, travel and being active outdoors with her dog, Bella.